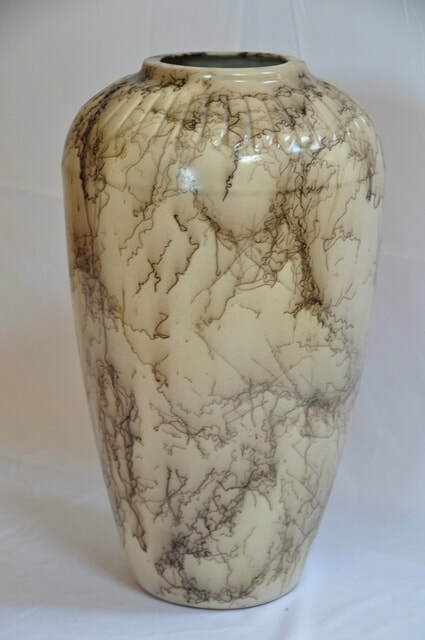 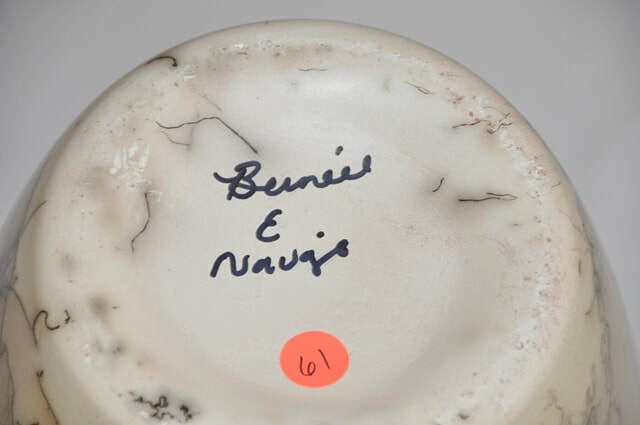 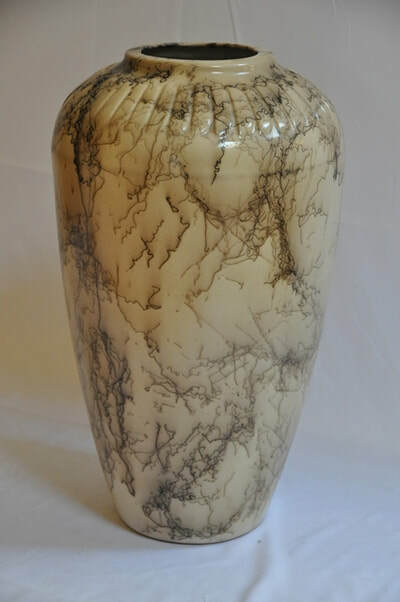 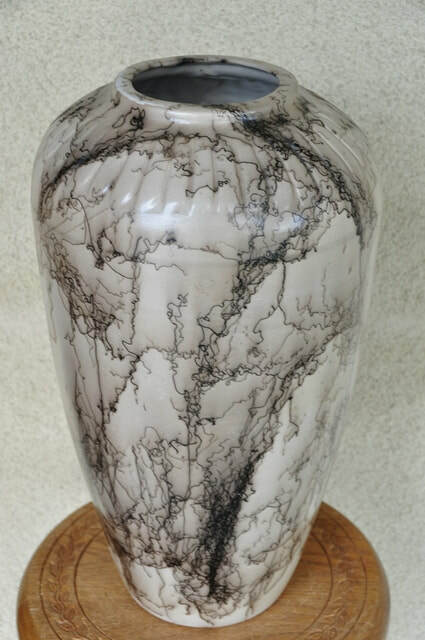 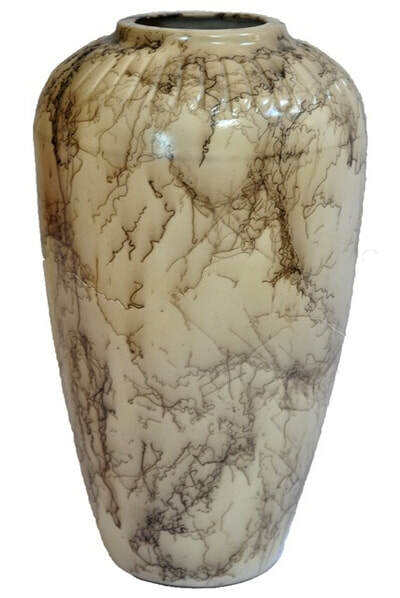 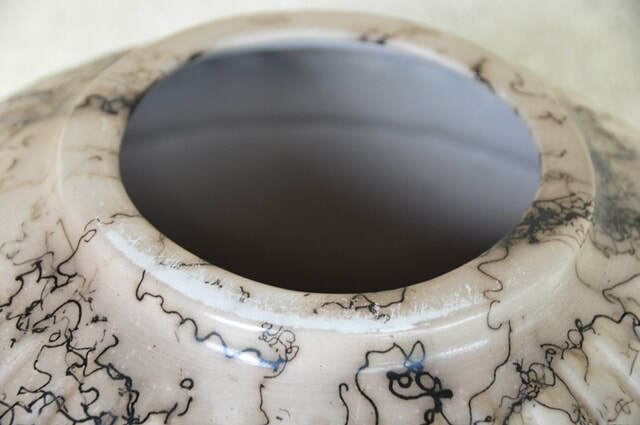 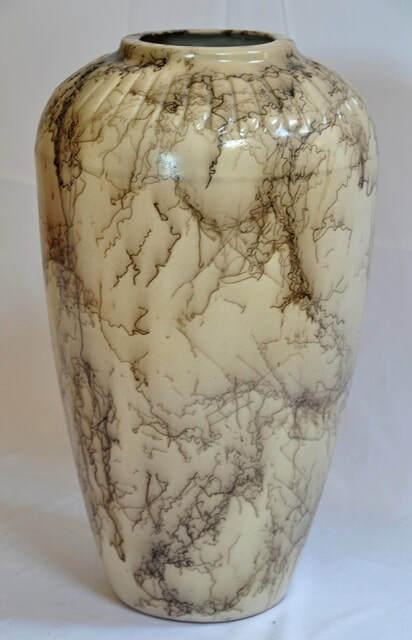 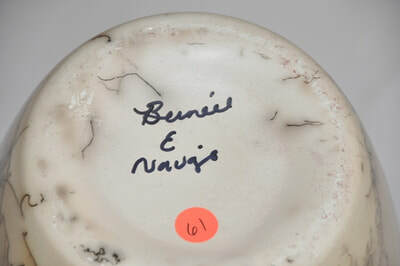 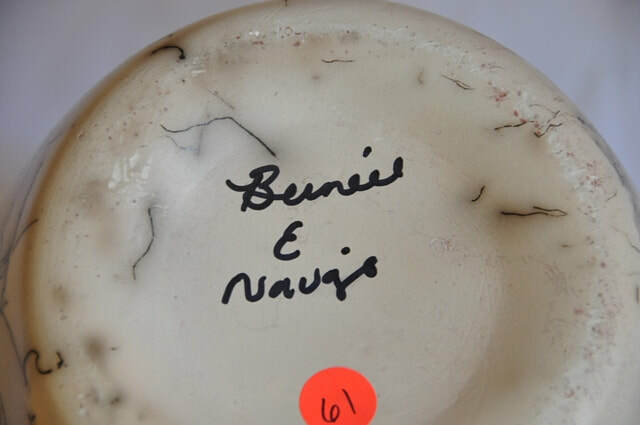 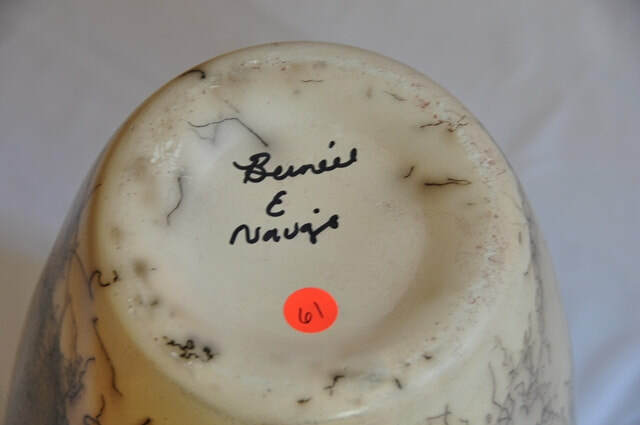 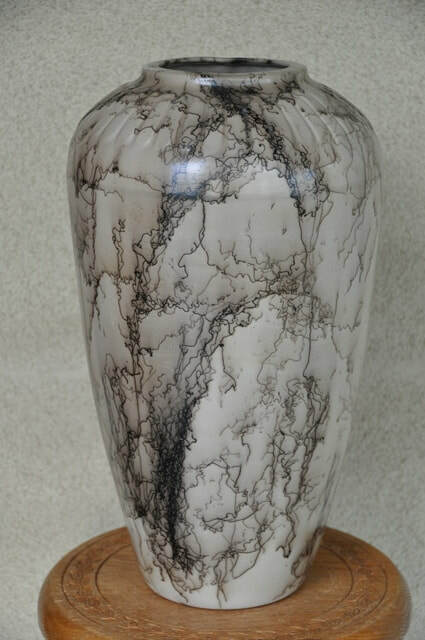 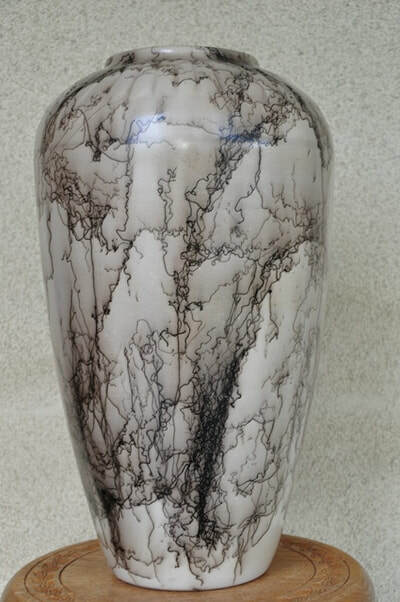 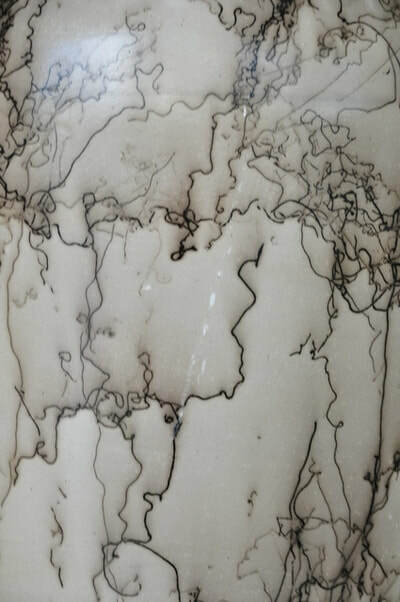 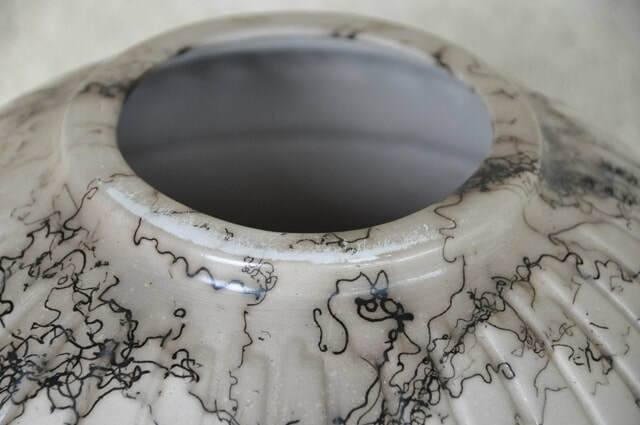 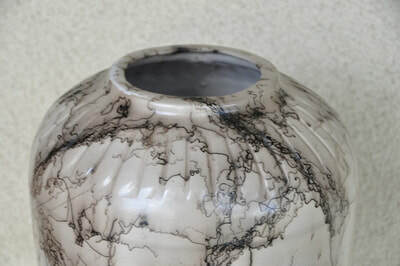 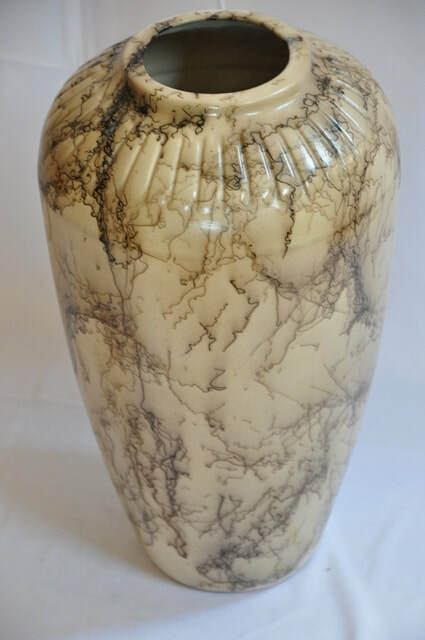 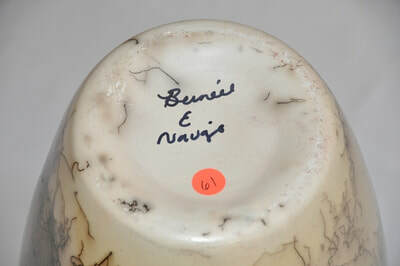 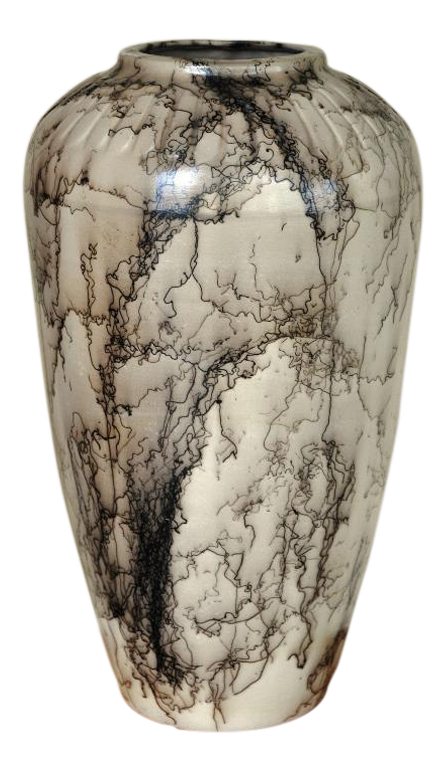 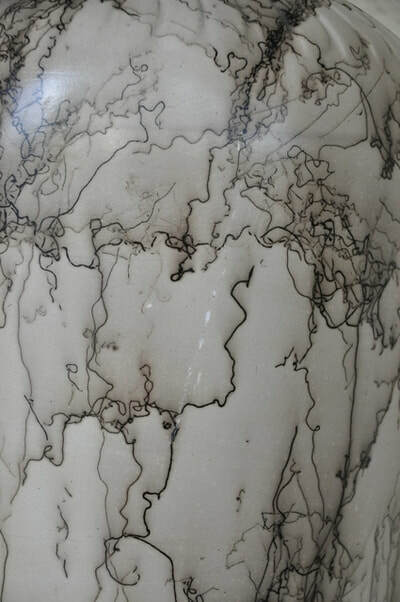 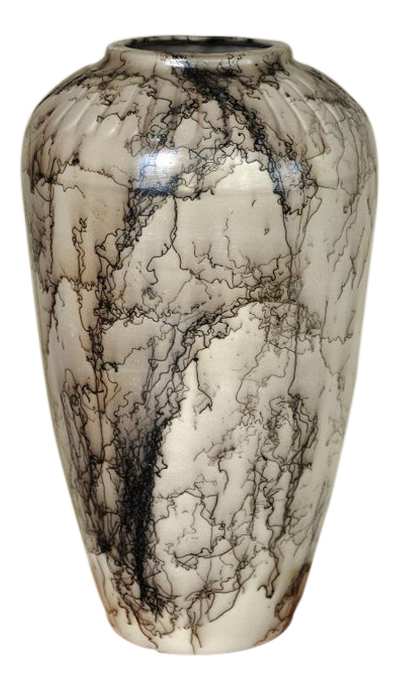 This is a Navajo horsehair ceramic vase. 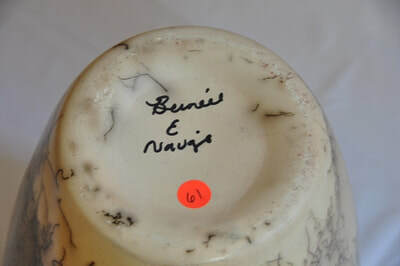 The vase is signed Bernie by the artist at the bottom. 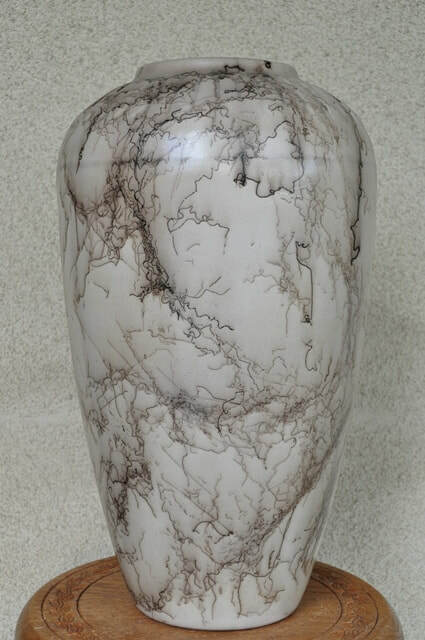 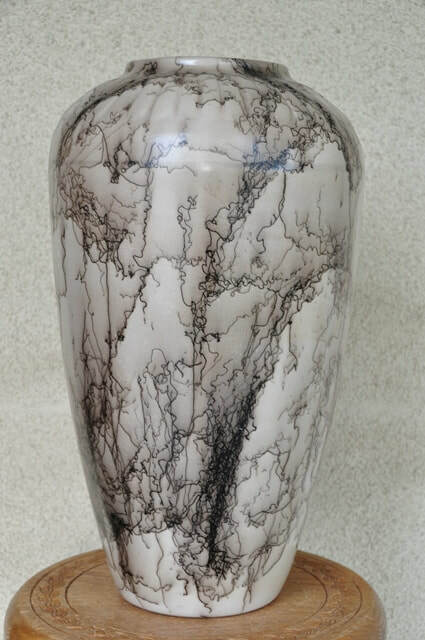 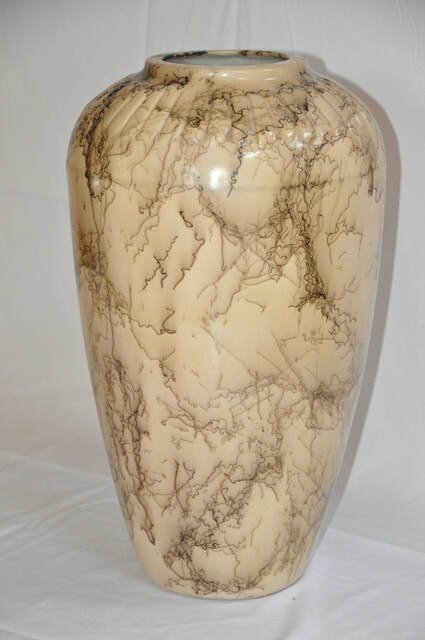 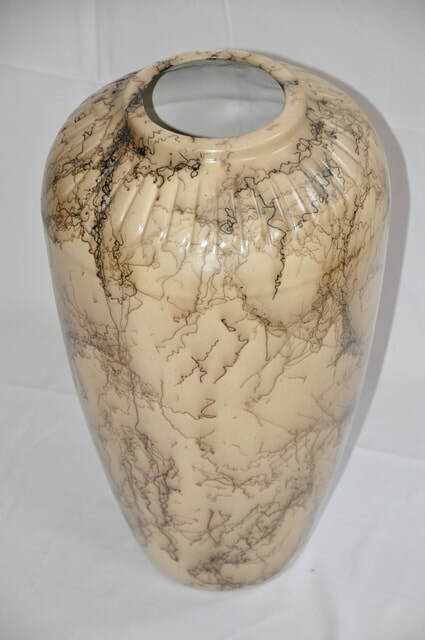 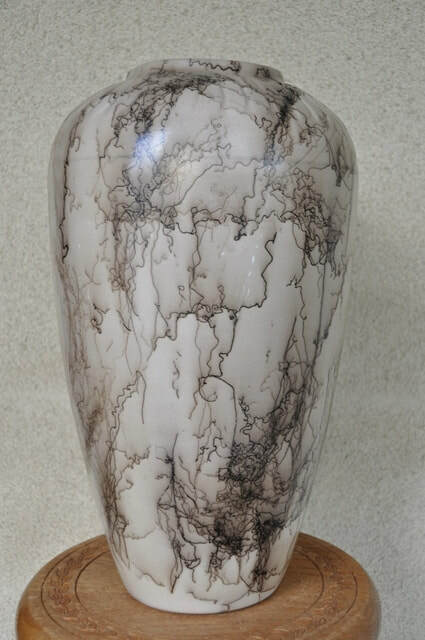 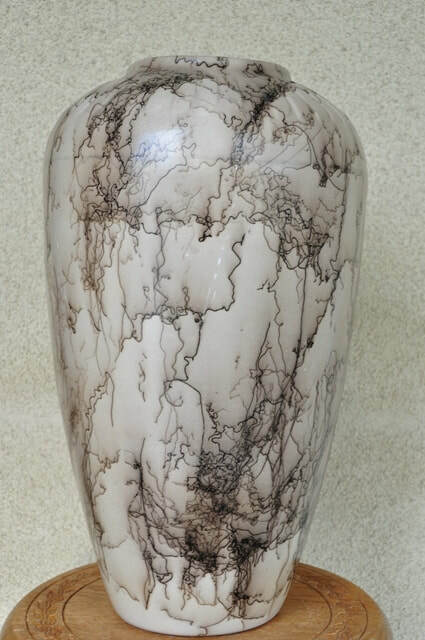 The vase is 18" tall and 11" wide.